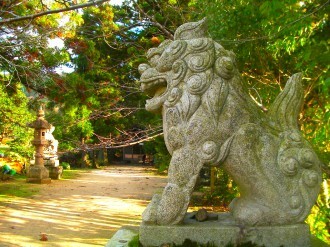 Susa Shrine is located deep in the mountians of Sada in Izumo. According to the ancient chronicles, after the gods Susano and Kushinada got married at Yaegaki Shrine and made Suga Shrine their home, they set off on their travels around the country. When they returned to Izumo they fell in love with the area of Susa. After giving birth to many gods and creating the country, Susano handed power over to his descendents, and laid his soul to rest here. 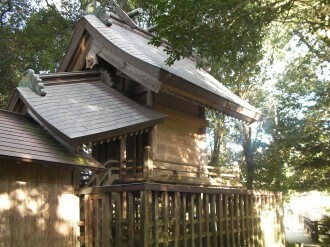 The shrine was built in the Taisha-zukuri style, one of the features of which is the raised floor. 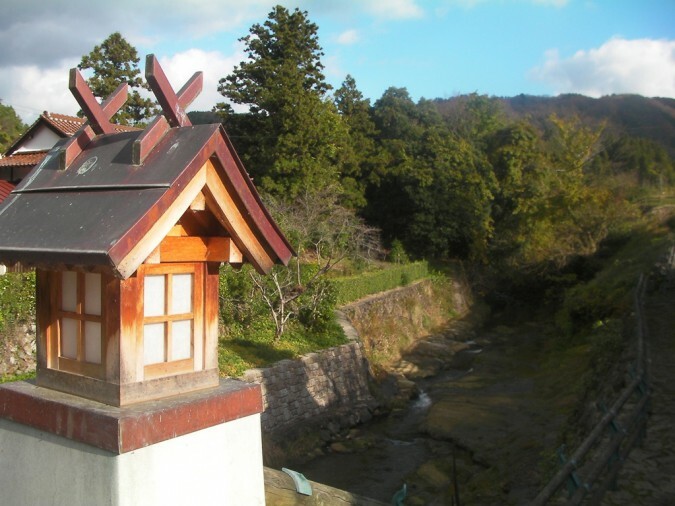 Taisha-zukuri is the oldest style of shrine architecture in Japan, and many shrines in this style can be seen in Shimane. 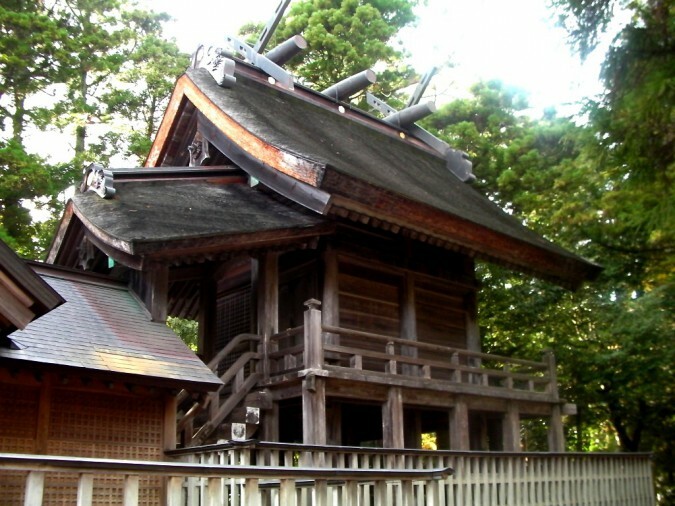 Unfortunately, as no records exist, it is impossible to say when Susa Shrine was actually built. It is one of the shrines on the Shinbutsu Pilgrimage route. 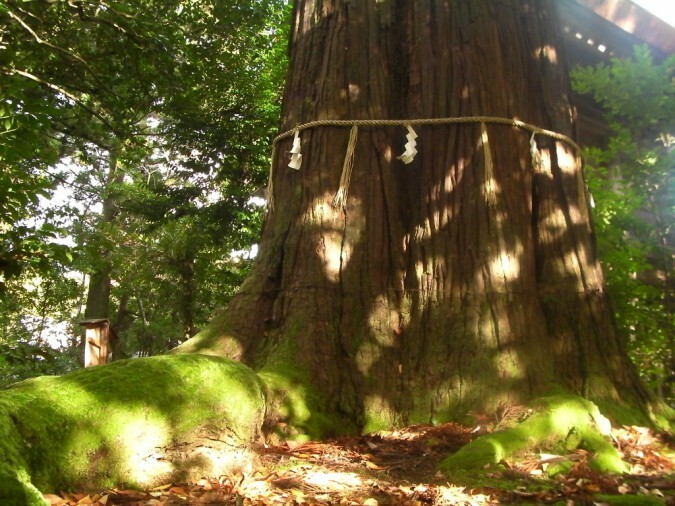 Behind the main shrine hall is a giant cedar tree, which is said to be 1200 years old. 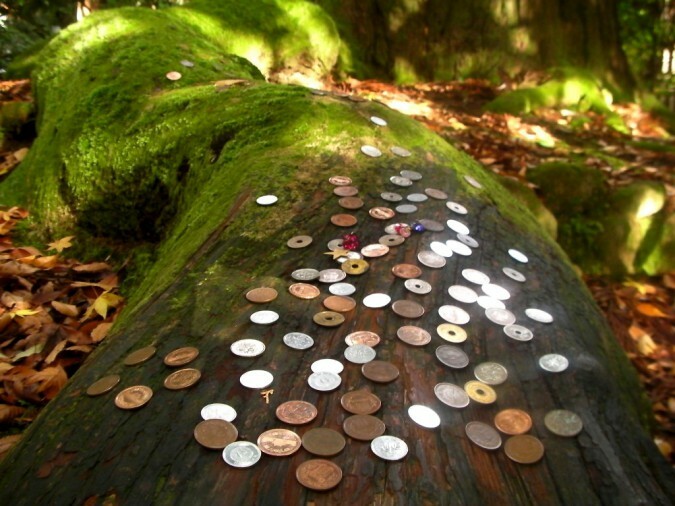 It has long been worshipped as a sacred tree, and it is believed to be the dwelling place of gods and spirits. It has recently become a popular “healing” spot, as it has been named by a spiritual healer as one of the best energy sources in Japan. 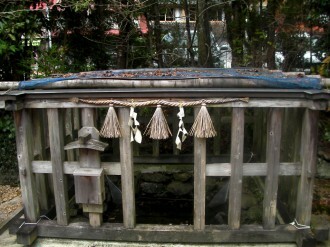 There is a well in the shrine grounds, and it is said that Susano used the water from here to purify the area. Although the well is deep in the mountains, it contains sodium, and the water has recently been found to come from to the Sea of Japan. The waters of the hot springs in the surrounding area also contain sodium, and are well-known for their high quality. The area around the shrine offers some spectacular rural landscapes. The pure water river alongside the shrine runs out into the Hiikawa River. Mt. Sentsu at the source of the river is said the be the place where Susano descended from the Celestial Plain of heaven, and it also features in the legend of Yamata-no-orochi, as the home of the eight-headed creature. For more details on the legends mentioned on this page, please see our mythology video! Get off at the last stop, and then the best thing to do is get a taxi, (5 minutes) or walk. If you take a taxi, remember to get the phone number of the taxi company so you can get back! (Buses do run to the shrine but they are few and far between.) From Izumo Station, the whole journey should take about an hour.